I wanted to share an email that I recently got, because it’s an email — or a question — that I get often from my fitness clients. She was specifically talking about Steve Hogman’s human billboard videos that I have on my blog. You can go to ptpower.com and check that out. My answer to you Sarah is yes, yes it does. I’m going to explain the two types of guarantees there are and why you should offer both. First, let’s say your marketing piece is doing the job right. You’re sending the right message to the right market using the right media, whether it’s via postcard, print, newsletter, or whatever method you choose to use. Let’s say that for every 500 you send out, you get, I don’t know, 5 leads. Of those 5 leads, you close 2 of them on a personal training program. That’s great. Not too bad. On the other hand, say you offered a guarantee, such as, “This is a money back guarantee. Lose weight, or I give you a full refund. I don’t take a penny of your money.” That’s going to get you more leads. Of the same 500 you send out, you might get 10 or 12 leads, because you’re the only one offering a guarantee. Here is why a guarantee is so important: these days, there’s a lot of BS out there. There’s a lot of terrible information out there. People have been ripped off so many times by false promises so they’re skeptical, and rightfully so. There are two types of guarantees you can offer, but before I get into that, let’s get back to the example that I gave you. 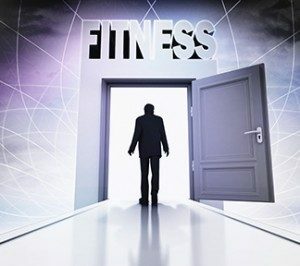 Say you mail out 500 mailing cards for a marketing piece, or you position your website to rank highly under “personal trainer” for your city on Google. Let’s say you get 500 people a day coming to your website, and you convert 5 of those 500 into leads. If you have a money back guarantee and you promise that, guess what’s going to happen. Instead of generating 5 leads, you might get 10 or 12. If your closing percentage stays the same when receiving those 10 or 12 leads, you’ll close more training programs — a lot more. People will be more confident buying from you because your guarantee is full risk reversal. You might start closing 7, 8, or 9 out of 12 leads them because you have a guarantee. Here are the two types of guarantees. There’s both the unconditional guarantee and the conditional guarantee. The unconditional guarantee is just that: it’s unconditional. For example, your marketing piece might say “money-back guarantee”, but once they come into your facility or you meet them at boot camp or wherever, you’ll explain to them that you offer an unconditional guarantee. All that means is they get a refund no matter what. I know that sounds scary, but most people won’t take you up on that. Most people who will train with you for 30-60 days – however long your guarantee period is – are not going to take you up on that. If they say, “You know what? I don’t like the clothes you’re wearing today. I want a refund,” and they’re within the first 30 days (or however long your unconditional guarantee period is), they get a refund. Again, the good news is that you converted so many people into clients that even if someone asks for a guarantee one or two times a year, it doesn’t matter. Give them their money back. Big deal, because I’ve seen a guarantee add an extra $100,000 to a personal trainer’s annual income. That’s the unconditional guarantee: you refund no matter what. Then, you decide how long the guarantee lasts. For example, if you really want to live on the edge, you can say, “Look, train with me for 12 months. If at the end of the 12 months I don’t deliver the results I promised, you get a refund.” I always suggest offering anything from a 2-week to a 30-day guarantee. Now, let’s talk about the conditional guarantee. This might be more up your alley if you’re just starting out. Even if the person lost 1 inch and 4 pounds on the scale after 30 days, do you really think they’re going to ask for a guarantee? Probably not. A conditional guarantee means they have to show up, they have to follow the program, and they have prove to you that they ate what you asked them to eat in order to get the guarantee. There’s another method that one of my mentorship clients uses and I think it’s brilliant. He sells big 12-month packages by saying, “Come train with me on a 12-month training program and I guarantee you I’ll get you to X pounds and X body fat percentage.” That way, they predetermine their goals from the beginning. That’s an awesome guarantee, so you’re more than welcome to try that as well. Using that guarantee alone, he’s gained about 12 extra clients into his boot camp. If you really want to try something daring, double your money back guarantee. Why not? Like I said, doubling your money back guarantee might get you five extra leads this month. I don’t want you to fear losing a ton of money from a guarantee. The truth of the matter is, you won’t. I have thousands of clients who have used my marketing system, and the unconditional guarantee and conditional guarantee work like a charm.